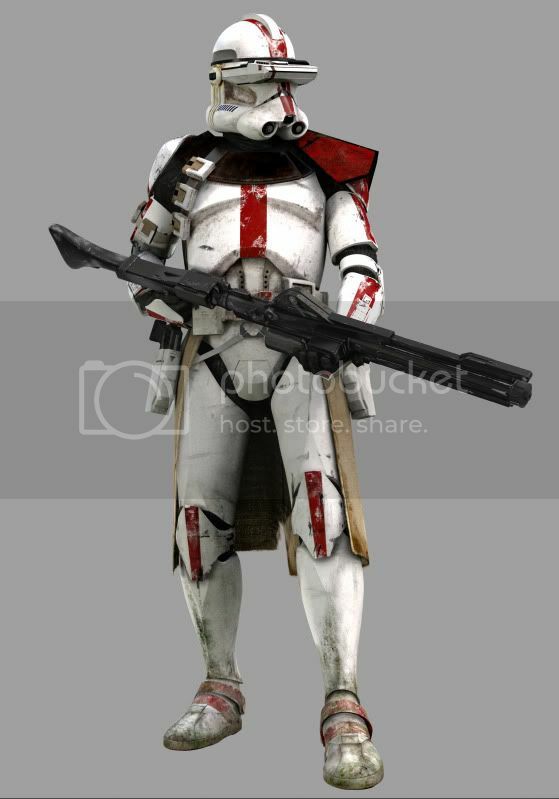 NOTE: This clone wears Phase II (Episode III) armor with additional paint and accessories. Only those additional items are listed here. 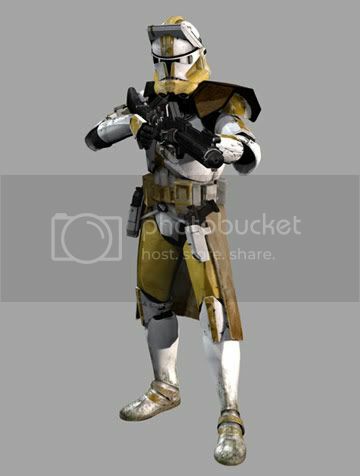 >3 ammo boxes are attached to a grey strap that is attached to the pauldron (on the opposite side of the large shoulder plate) and runs down to the belt. Outer area of boxes is white. Inner portion is raw sienna with a black square located towards the top. >2 smaller ammo boxes are attached to the bicep (opposite the large shoulder plate) on a grey strap. One box is located on the front of the bicep and the other is located on the outside. Outer area of boxes is white. Inner portion is raw sienna.